This double sided porcelain neon sign measures 48″ by 24″. 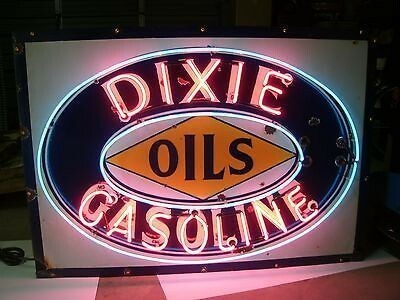 The sign is blue and orange and reads “Dixie Gasoline Oils. The neon lights are blue and red.